Hair shine, saturated with power and beauty! The result is a single use, I hope the effect of cumulative! 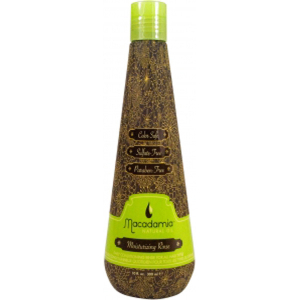 I use this shampoo once a week with the rejuvinating shampoo, my hair looks so much better since I started using Macadamia products! Not that bad, was expecting a litle bit more of this product. as soon as you put this product on your hair, you can feel the quality and goodness of it. It immediately made my hair feel luxurious and when washed out, it felt like silk! Would definitely recommend this product, especially if you have curly or afro hair. the best hair mask I have ever tried! It leaves your hair silky soft. My hair is damaged and it feels like it has been rejuvenated after using this mask. amazing! Deeply hydrating conditioner - less is more when using product as can make the hair slightly heavy and no need to leave on for longer than a couple of minutes for the same reason. Results in nourished healthier looking hair.